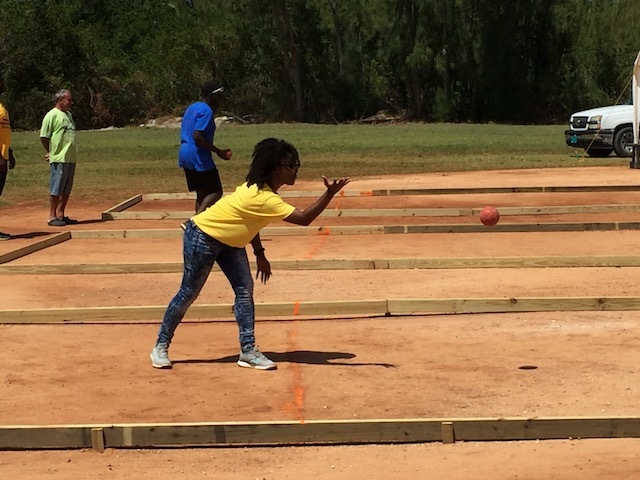 At the weekend we enjoyed the Special Olympics Bocce Tournament for 2017 in Tarpum Bay. 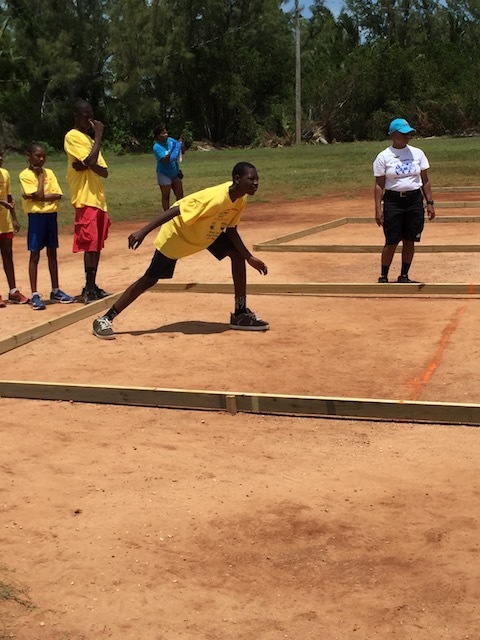 It was such a fun couple of days with teams from 4 islands in the Bahamas competing. Grand Bahama, New Providence, Abaco and Eleuthera. Many faces were familiar from last year and the participants and helpers all mingled and mixed together. 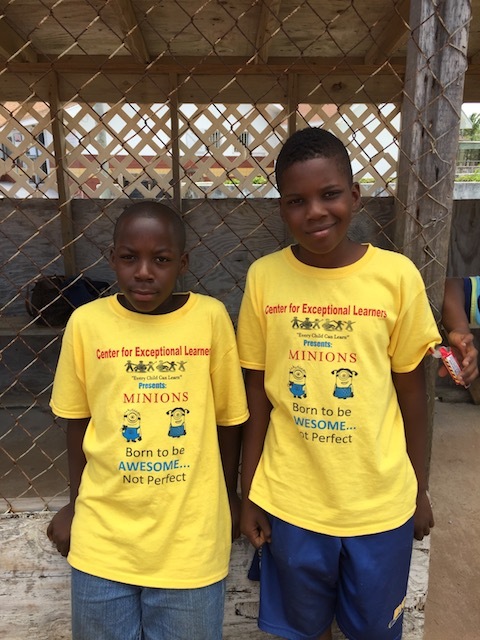 Just look how long those legs are now on Clifford – one of the team for Eleuthera ! When the tournament had finished there was an impromptu match with teachers, locals and officials all participating and having a great time. Such fun all the way from start to finish ! Sunday was a real treat with a pizza party at 1648 – and the management there made a generous donation to the bill. Speaking of donations – this year we managed to get several donations from people that I shamelessly solicited ! Robert Pantry from RBC Bank in Nassau did a wonderful job helping me with fund raising – RBC themselves contributed, along with Sun Oil from Nassau and Family Guardian – also based in Nassau. 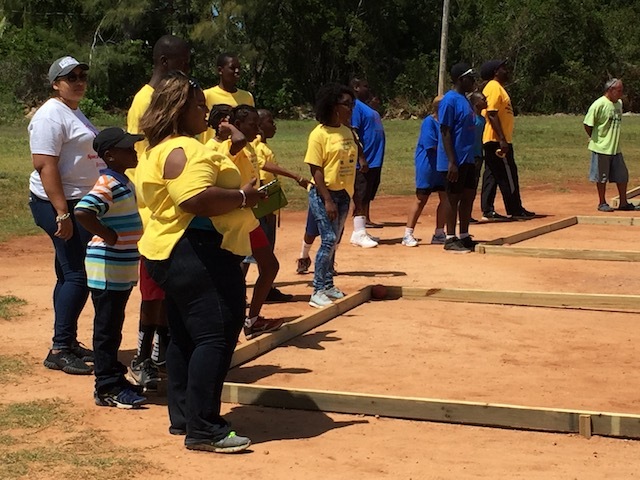 Gilbert Williams of the Special Olympics Organisation in the Bahamas did a wonderful job – do take some time to look through the pictures on their FaceBook page – these people are very special indeed. 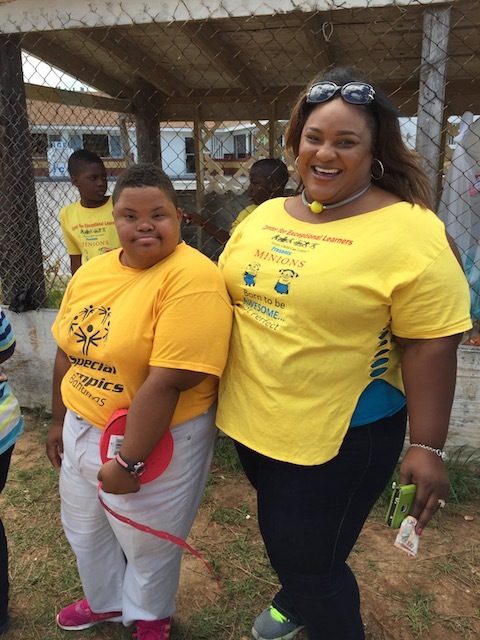 Principal of the Center for Exceptional Learners in Governors Harbour, Mrs Tanya McPhee Pinder with Vashni – a real character and the best dancer ever !! I am delighted to report that finally the road around the harbour has reopened ….. It is a delight to be able to drive around – although isn’t it funny how your brain becomes locked into a particular route after a while. 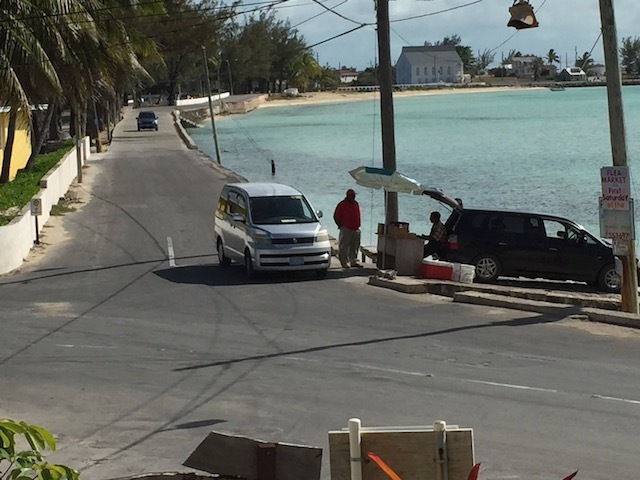 Several times over the last week I have laughed at myself because I have found I was taking the back road – forgetting that the harbour side road is usable again……. Open again at last ! Our shipment came in from our trip to Fort Lauderdale and there was this great sign that Bob found in one of my favorite pet stores…. 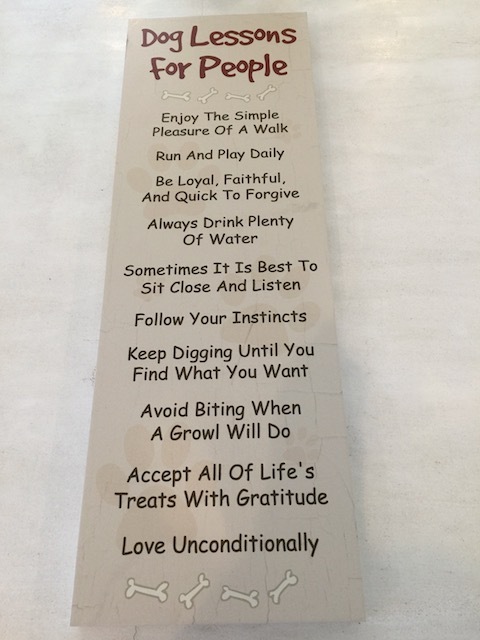 I love this sign – I think my favorite is Avoid Biting When A Growl Will Do ! 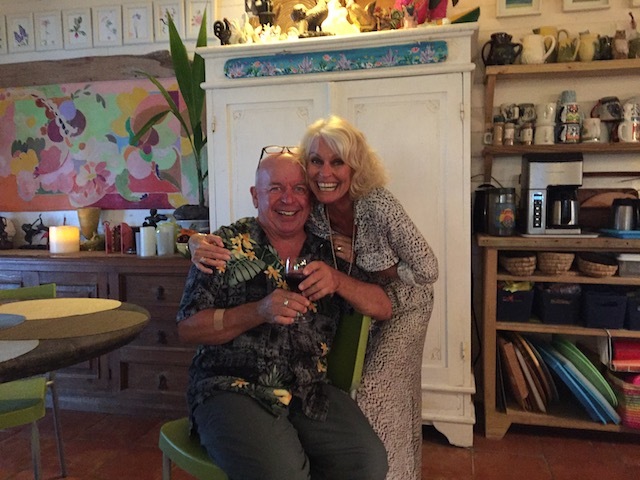 And finally – another lovely funny evening on Cupid’s Cay with Dan and Larry and friends – and fabulous food – thanks to Dan for that ! Oh, you probably won’t get this reply; but, I shall leave it anyway. I just love your blogs and so look forward to them! Thanks Camilla – so pleased that you read and enjoy the blogs !